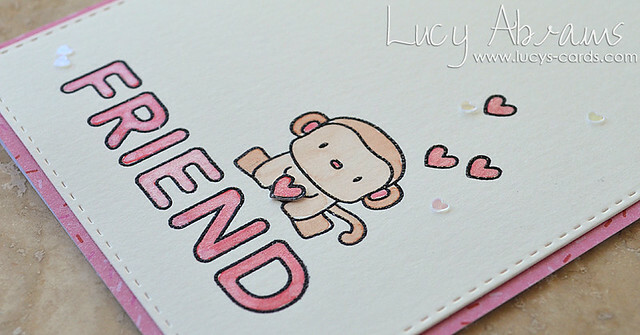 A really sweet card, that monkey is so cute. Love the sparkly paint. Oh, what a sweet card! Love the CAS design.